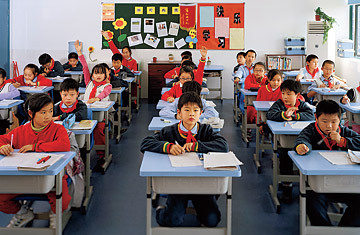 China's schools are adding more creative and practical topics to their notoriously rigid curriculum. On the evening of Nov. 15, President Barack Obama, the youthful leader of one of the world's youngest countries, begins his first visit to China, among the world's most ancient societies. Obama and his Chinese counterpart, Hu Jintao, have much to discuss. Nukes in Iran and North Korea. China's surging military spending. Trade imbalances. Climate change.